Are your technicians professional and experienced? Most definitely. AquaTek only hires journeyman-level plumbers. We perform a background check on all potential field employees. 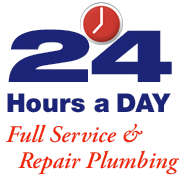 Our plumbers are paid on an hourly basis, not on commission. We feel that this is the best way to ensure that the customer receives the best, most honest service possible.